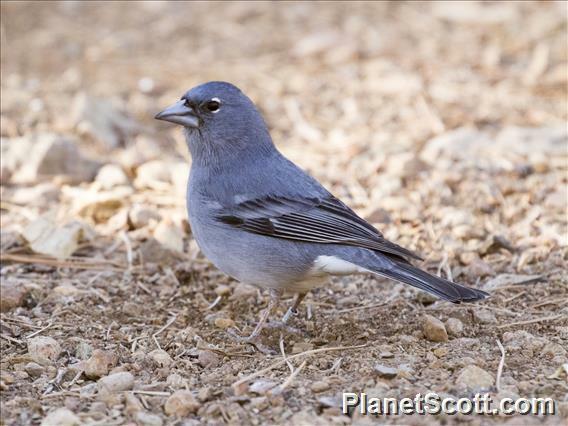 Fringilla teydea is found only on Tenerife (subspecies teydea) and Gran Canaria (subspecies polatzeki) in the Canary Islands, Spain. The total population is estimated to be 1,800-4,500 individuals, with the majority on Tenerife and approximately 250 individuals on Gran Canaria. On Gran Canaria it occupies a tiny range which is declining: it is restricted to patches of woodland totalling 3.6 km2 at Ojeda, Inagua and Pajonales. However, as the Gran Canaria race is such a small proportion of the total population, the species's overall range and population are effectively increasing due to positive trends in the area of suitable habitat on Tenerife (Barov and Derhé 2011). The subspecies on Gran Canaria continues to require intensive conservation efforts if it is to persist.